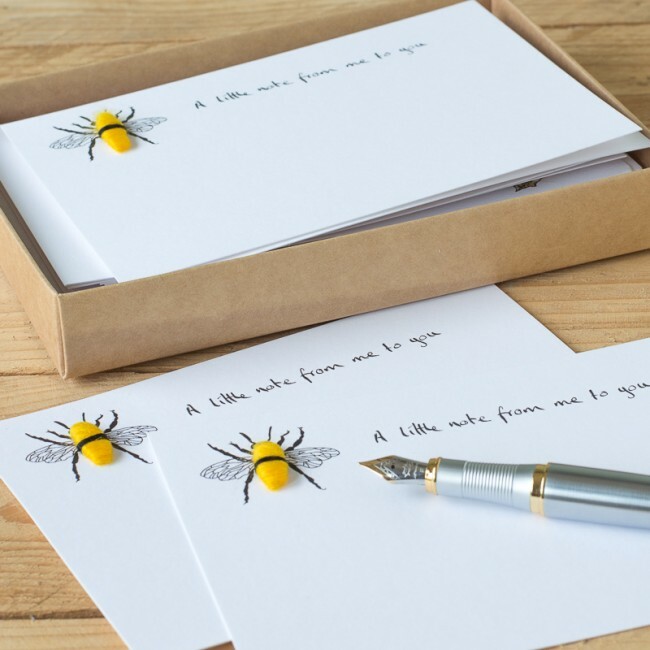 Our bee notecards, boxed set of 10, are a perfect gift for nature lovers who love to keep in touch with their family and friends. The bees are hand finished with fluffy bodies, made from real sheep's fleece - guaranteed to raise a smile! They're tricky little creatures to fluff, with their black and yellow stripes, but we love them all the same. The text on the cards reads "A little note from me to you". 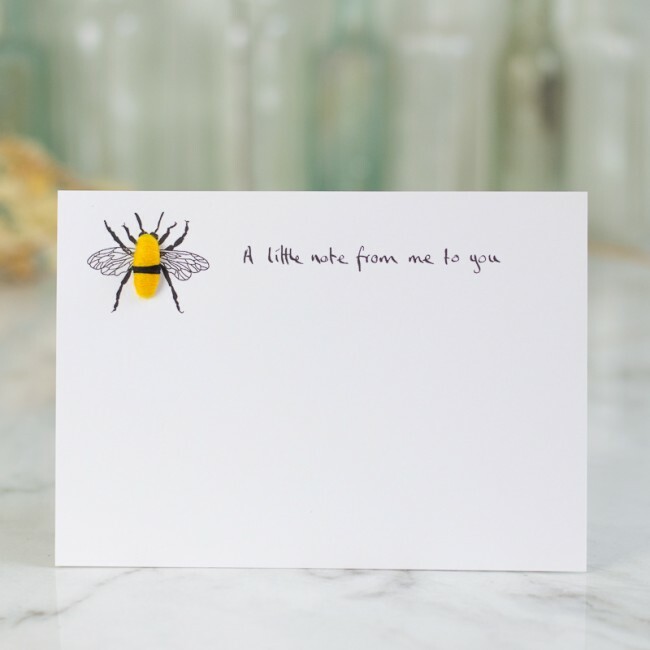 Perfect for penning that quick little thank you or note, but not so big that you feel stuck for words. 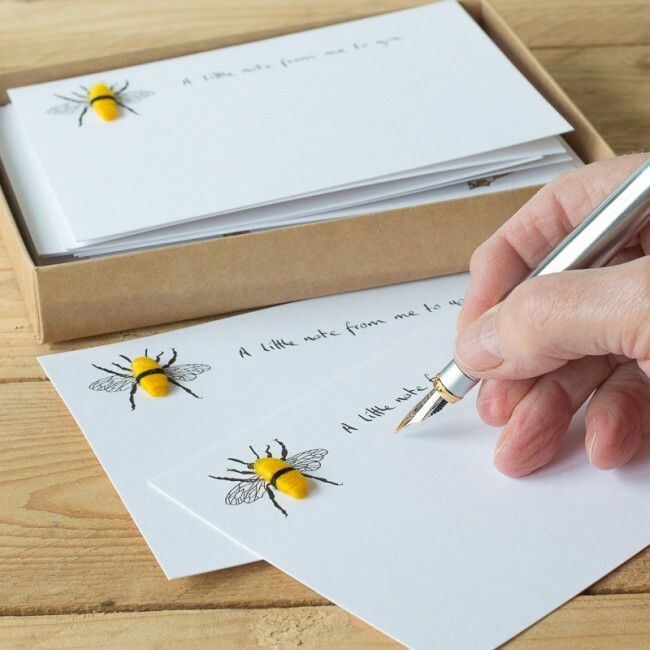 With bees being so important in the wild, and our rejuvenated love for these important little creature, this is a lovely gift for anyone who cares for our countryside and wildlife. The set contains 10 notecards tied with decorative string and 10 white envelopes packed in a clear-lidded box.